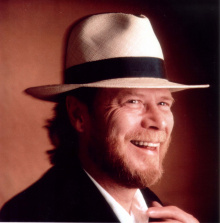 Long John Baldry was an English Blues singer who was known for his music from the 60's until the time of his death in July of 2005. He worked with musicians such as Elton John and Rod Stewart. In 1985 he did voice work in the Star Wars: Ewoks cartoon series and since then has lent his voice to a number of animated features throughout the 1980s and 90s. This includes Adventures of Sonic the Hedgehog where he voiced Dr Robotnik, as well as Captain N, Bucky O'Hare, ReBoot and Sabrina: The Animated Series. This page was last edited on 1 March 2012, at 19:11.